Wildlife photos are usually my favorites because I appreciate how hard it is to capture a “perfect” moment while in a moving boat and competing with the natural fact that our subjects are ready to flee at the sound of our next stroke. 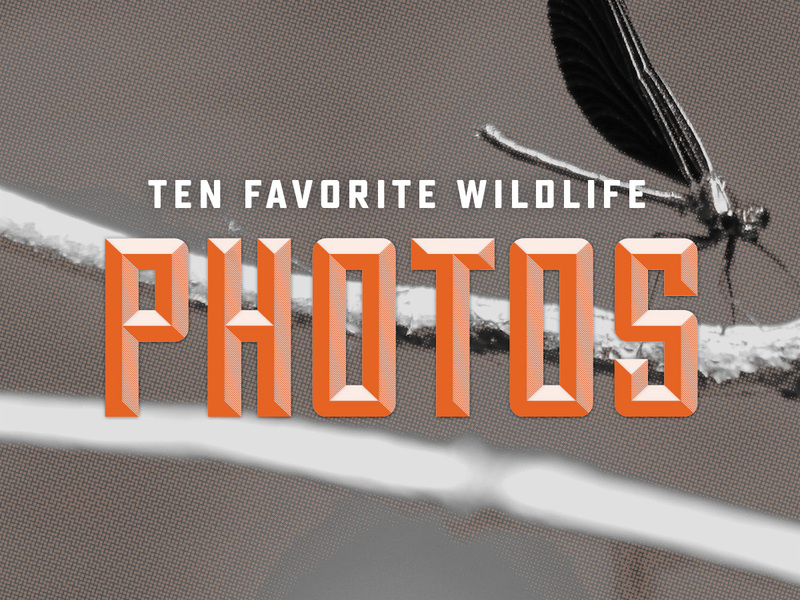 But over the years, we’ve captured hundreds of wildlife photos, so of course, it was really hard to pick only ten faves. We’ve shot numerous cows, deer, a billion heron, eagles, geese and other birds, snakes (unfortunately), frogs, toads, big turtles, small turtles, elk, horses, bugs, fish, aquatic organisms, living things, dead things, dead and bloated things, skeletal things, and things we couldn’t identify (oh my!) But in the end, despite the overwhelming amount of contenders, these were the ten favorites. Let’s start small. Like, real, macro small. That’s one chroma of blue only available in nature and RGB. My favorite part of this picture is how flat the sky is. Whether there was a storm coming or a storm going, it’s evidently one dreary moment for these (concerned-looking) two. On it’s own, it’s a pretty great photo. Paired with Timothy’s caption “Totally J-walking”, it’s legendary. We’ve seen hundreds of deer while paddling, but this one is memorable. It’s not just the stare, but the snort of liquid – that’s as real as it gets. 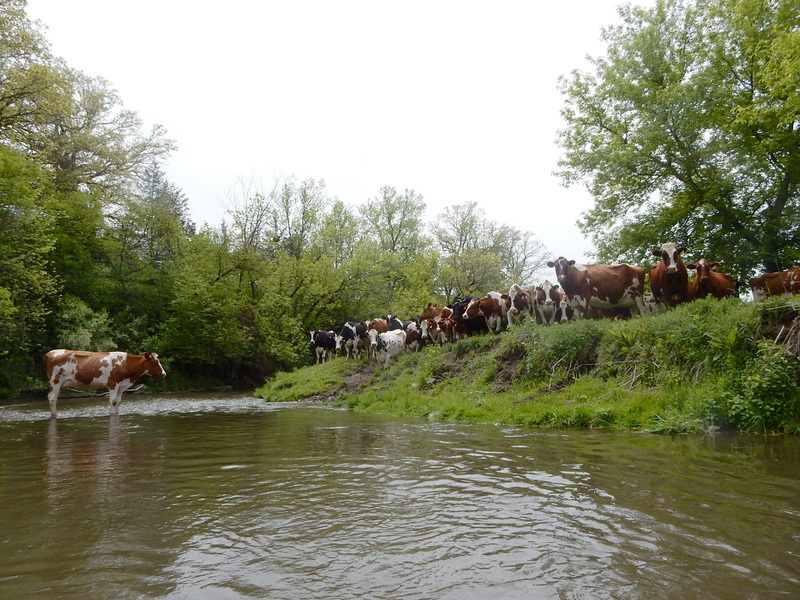 We probably encounter (and photograph) cows as much as deer on our trips. The problem with cows is… well, they’re huge and sometimes a little skittish – so they always make me nervous. And, as a rule-of-thumb, if you see one cow, there’s probably more. Case in point: it’s what you don’t see happening on the right bank of this photograph, that’s a bit concerning. It’s by total chance that there were two photos from the same trip that made their way on this list. Look at this guy. He’s posing like he read up on how to look like a racoon/filthy bandit. Same River, different trip. Clearly, there’s something special about this river, because there’s a whole lot of wonderful going on here. Snakes. It’s been well documented on this site that I can’t stand ’em. And when I see one coiled like this, my stomach recoils. More birds! This is so graphically lovely, and a gorgeous study of wing positions. What’s not to love? (There were actually three pics from this trip that made our top 25 – some beautiful stuff).